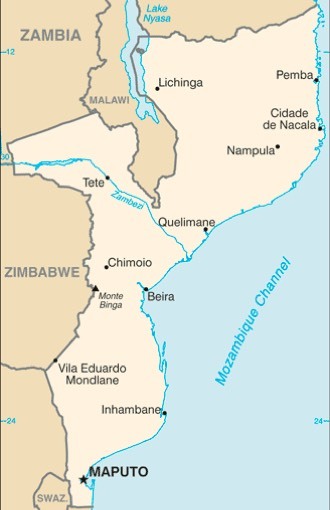 Mozambique : When and where to go? Located in the southern hemisphere, Mozambique undergoes a cycle of seasons unlike Europe, in a typically tropical climate. Between April and October extends the dry season, with a month of July offering cool temperatures, between 16 and 20 ° C, and dry air under a clear sky. From November to March comes the wet season in the summer, where temperatures are between 25 and 31 ° C, a little higher when approaching the equator to the north of the country. The ideal time to visit Mozambique is the dry season which will prevent you from experiencing the damp heat of summer and its sometimes torrential rains. Although Mozambique is known for its white sandy beaches lined with coconut palms, this former Portuguese colony has far more to offer than paradisiacal landscapes. Between the hectic capital and the wilder north and conducive to adventure, the constant is a welcoming and open population that is the true wealth of this country, especially since it is still preserved from mass tourism and that the " Welcoming travelers is a true celebration. First visit Maputo, the capital, which has retained a true architectural heritage in spite of the recent and long civil war: you will appreciate its streets lined with flamboyants and acacias, its art deco buildings, its colonial constructions, Natural history, but also the botanical garden, the cathedral Notre Dame de la Conception, the Heroes' Square. Do not miss the nature reserves, such as Niassa, which is still uncommon, to protect a black elephant and rhinoceros population, or Gorongosa National Park, which, despite its limited infrastructure since the war, Magnificent and some animals such impalas and hippos. Many other sites are worth a visit, according to your interests and the time you have: relax on the beautiful beaches of Tofu and Zalala, go diving in Barra or Pemba, discover the archipelago of Bazaruto And in particular the island of Benguerra with its crystal clear waters and superb corals, where you can also indulge in scuba diving. And for the towns, you will have the choice between Vilanculos, set in its magnificent bay where gradients of greens and blues play with the sea and the sky, Quelimane and its colonial buildings or the return of its fishing boats, or Pemba And its white sandy beach. One last place to see: the island of Moçambique, where you will discover the charms of the village, churches and mosques, and can make a boat trip in the small islands around. The airport of Maputo is served by a dozen airlines departing from Paris. The direct flight takes about 11 hours. Entry on the territory requires a visa limited to 90 days. The motto is the new Mozambican metical, or MZN, since 2006. (Currently, 1 € = 39 MZN). The budget to be expected is higher than in neighboring countries: a double room will cost you about forty euros, and an average meal about 15 €. It is advisable to do a tropical travel consultation before leaving. The vaccine against yellow fever is imperative, and those against typhoid and hepatitis A and B highly recommended. Have your universal vaccinations up to date, they are indispensable. Provide a well-stocked medicine kit and take the usual precautions: do not drink tap water, avoid dairy products, wash your hands before eating, do not bathe in stagnant water. Take antimalarial treatment. To travel on the spot, buses are inexpensive and fairly regular, but in a rather unsafe state. For short distances, chapas, sorts of minibuses, are more practical, but the drivers have a fairly ... sporty driving!